Craig Roberts Scott, MA, CG, FUGA is the author of The “Lost” Pensions: Settled Accounts of the Act of 6 April 1838 (Revised) and Records of the Accounting Officers of the Department of the Treasury, Inventory 14 (Revised). His most recent work is Understanding Revolutionary War and Invalid Pension Ledgers, 1818 – 1872, and the Payment Vouchers They Represent. He has authored seventeen books and several articles in the National Genealogical Society Quarterly, Family Chronicle (now Your Genealogy Today) and other genealogical publications. He is the President and CEO of Heritage Books, Inc., a genealogical publishing firm with over 5,300 titles in print. A professional genealogical and historical researcher for more than thirty years, he specializes in the records of the National Archives. 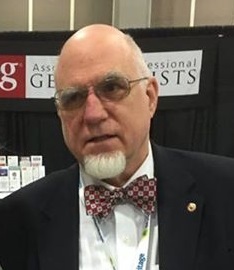 He is a member of the Company of Military Historians on the editorial board of the National Genealogical Society Quarterly, and is a Director of the Association of Professional Genealogists. 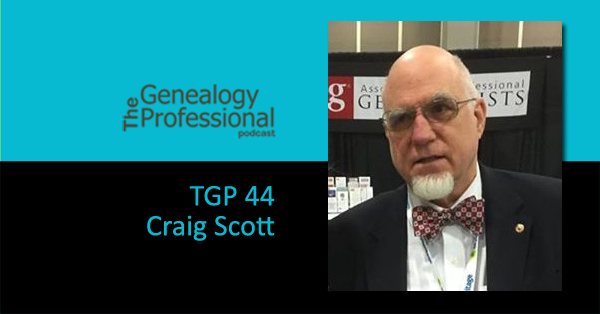 Craig has been a faculty member for several years of the Institute of Genealogy and Historical Research and the Salt Lake Institute of Genealogy, and recently the Genealogical Institute of Pittsburgh. He is the coordinator for the 3rd Annual Heritage Books Genealogical Conference and Cruise. He was awarded the Grahame T. Smallwood, Jr. Award in 2008 and UGA Silver Tray Award in 2009. He became a Fellow, Utah Genealogical Association in 2014.
Business Website – Heritage Books, Inc.
Pinterest – Heritage Books, Inc.
For your action item this week, I would like to tap into what Craig said about short term revenue vs. long term revenue. I would re-phrase long term revenue as either passive income or residual income. This is a topic we have been discussing in-depth in some of my Mastermind groups this month. For your action I want you to think about the types of residual income that Craig mentioned such as royalties from books and commissions from webinars. Try to brainstorm some more types of residual income. Here’s one to get you started – affiliate income which is the linking to sites like Amazon.com. If people purchase through your link then you get a small commission. Try to make as big a list as you possibly can. If you’re stumped, go online and Google passive or residual income. Then take a look at your list and see which streams of income might be best for your situation and your business. When you’re all done leave a comment in the show’s secret Facebook group. You can get to that by signing up for the Genealogy Professional podcast newsletter on the website at thegenealogyprofessional.com. In Genealogy news, we are in the midst of institute season. GenFed just wrapped up and next week genealogists will gather for the Genealogical Research Institute of Pittsburgh, otherwise known as GRIP. On August 17th the Northwest Genealogy Conference starts and then at the end of summer, starting August 31st, the Federation of Genealogical Societies 2016 conference starts in Springfield, Illinois. One gathering you may not be familiar with is GenStock. This is a very small gathering compared to the national conferences and it is intended for professionals. GenStock is put on by Billie Fogarty and Matt McCormack. The goal is to provide an interactive opportunity to exchange ideas about the field of genealogy. The objective is to bring together skilled genealogists to explore new ideas and to dream, to Encourage friendships and expand networks, to Advance the field of genealogy, to Examine questions relating to genealogy as a profession, to Share knowledge about the field and its best practices and to Experience the sense of joy in genealogy and have fun. It takes place in Alpena, Michigan starting the weekend of August 25th before the FGS Conference. To find out more contact either Billie or Matt through the APG online Directory which you can find at apgen.org. If you’d like to become a supporter of the Genealogy Professional podcast head over to the website at www.thegenealogyprofessional.com and click on the Supporters button. And of course, ratings and reviews in both iTunes and Stitcher are always welcome. If you enjoy this free show and would like it to continue please think about taking a minute out of your day to leave a review.